The US Search Awards 2016 – in pictures! 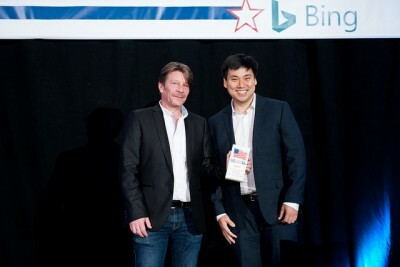 The US Search Awards celebrates the best in search, PCC and digital marketing in the USA across 29 categories. We attract hundreds of entries from leading search and digital agencies in the business to the start-ups. This year was the most incredible yet-we received over 250 entries from across the country and a calibre of campaigns which together blew the judges away! The US Search Awards is in its 4th year and it just gets bigger & better each year. This year the awards took place in one of the finest establishments in Vegas, Caesars Palace. Don’t Panic definitely know how to throw a lavish party and with the addition of some amazing sponsors, we laid on an incredible night to remember or not, if the free bar was very much the centre of the night for you. The awards provide a chance for search, PPC and Digital Marketing agencies in the US to network and allows them to celebrate the success of the industry over the past year. The evening was a search expert’s paradise! Kicking of the evening was our brilliant host Mel Carson. With over a decade of experience in social media and online strategies, we couldn’t think of anyone better to fulfil that role. Not content with the marvellous mortals – we also had the voice of God announcing our winners on the night. Only the best for the US Search Awards! The night was a true celebration of the crème de la crème of search in the USA – and we saw the return of some familiar veterans of the awards, as well as some victorious new faces. 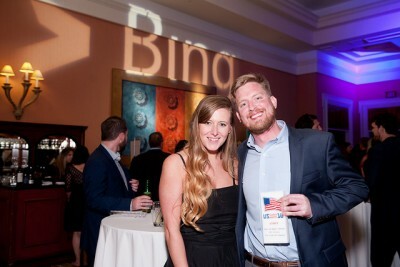 GoFishDigital took the US Search Awards by storm winning 3 awards including, Best Small SEO Agency, Best Use of content Marketing and Best SEO Campaign. Word Stream also took away two Search Awards with Best Use of Search in Travel/Leisure and best local campaign. They weren’t the only ones who walked away with multiple awards; PMG also took away Best Mobile Campaign and Innovation Campaign. Our Twitter feed has been filled with some incredible images from the night- from epic selfies to the hilarious prop-filled snaps from the photo booth! It was definitely a legendary night that is going to loom large in memories for a long time- and we love reliving it through the mass of pictures from the night. If you want to see the photos of the winners – you can view them on our flickr album – but don’t worry what happens in Vegas stays in Vegas! Thank you for everyone that came and made the US Search Awards such a memorable evening! We couldn’t have asked for a better night, it was a pleasure to work with the greatest in the game and let’s roll on next year!! Click here for all our incredible sponsors and here to view the complete list of winners.